Check out Tobi's Bailey Choker Tee Dress Rock out in the Bailey Choker Tee Dress at your next show! 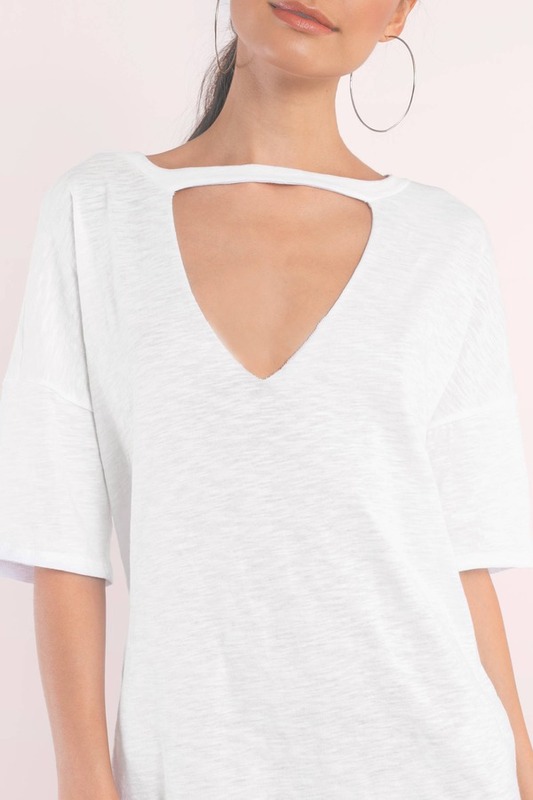 This White t-shirt dress features a plunging choker neckline, relaxed half sleeves, and an oversized fit. Get your grunge on by adding chunky combat boots and a moto jacket! Rock out in the Bailey Choker Tee Dress at your next show! 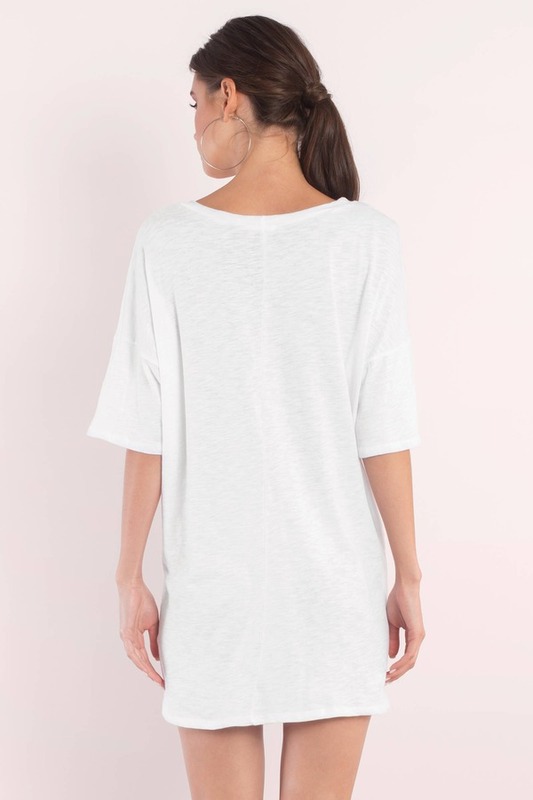 This White t-shirt dress features a plunging choker neckline, relaxed half sleeves, and an oversized fit. Get your grunge on by adding chunky combat boots and a moto jacket! Rock out in the Bailey Choker Tee Dress at your next show! 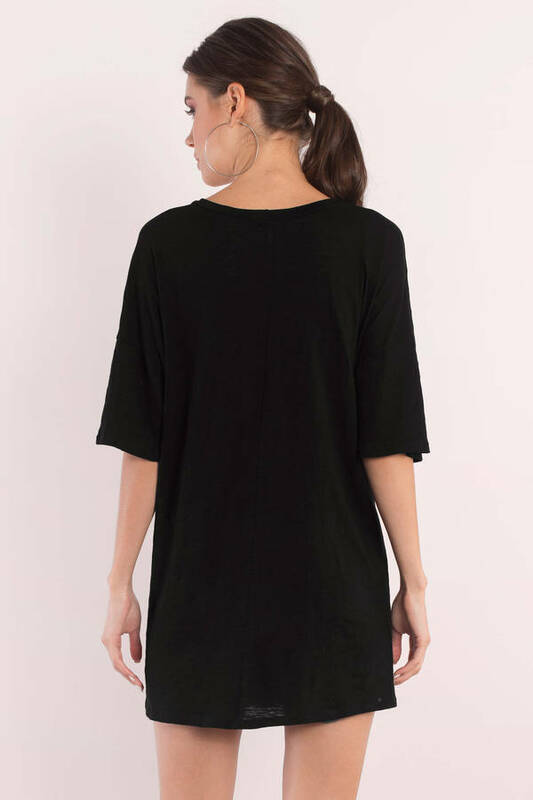 This Black t-shirt dress features a plunging choker neckline, relaxed half sleeves, and an oversized fit. Get your grunge on by adding chunky combat boots and a moto jacket! Rock out in the Bailey Choker Tee Dress at your next show! 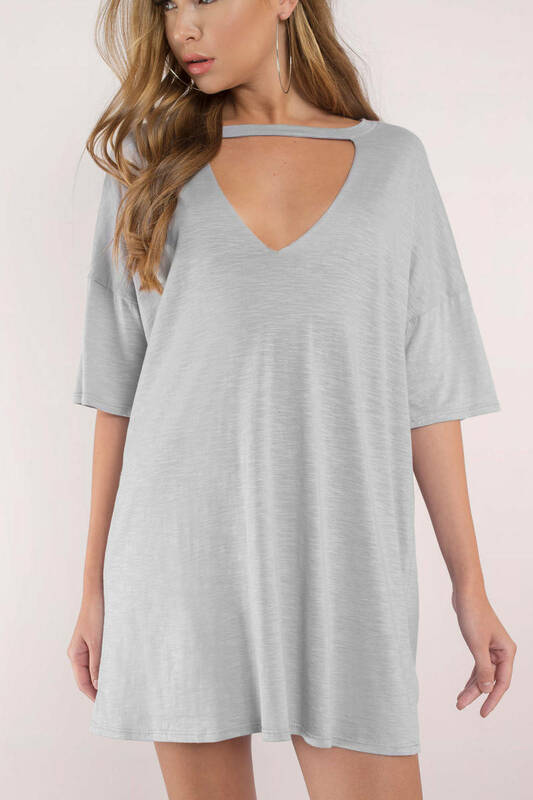 This Grey t-shirt dress features a plunging choker neckline, relaxed half sleeves, and an oversized fit. Get your grunge on by adding chunky combat boots and a moto jacket! Rock out in the Bailey Choker Tee Dress at your next show! 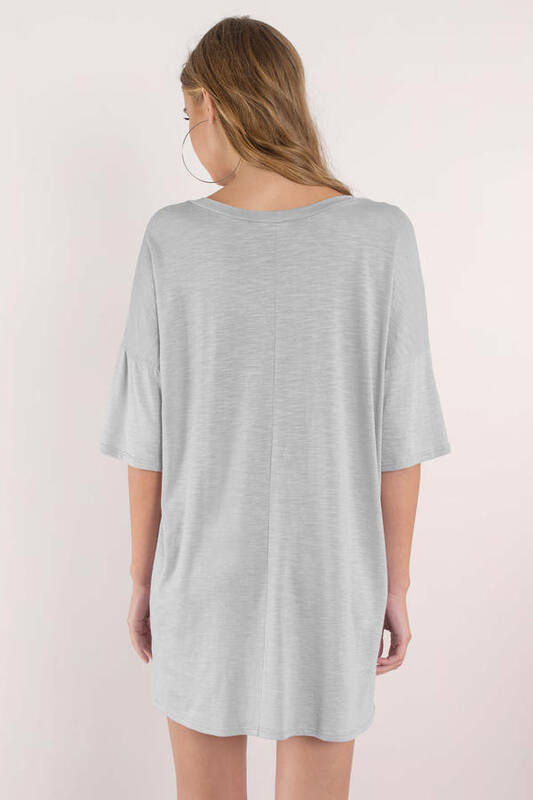 This Taupe t-shirt dress features a plunging choker neckline, relaxed half sleeves, and an oversized fit. Get your grunge on by adding chunky combat boots and a moto jacket! Grey, Taupe modeled on a size Small.